Rooney, now Jax, has been adopted by Joe in Hyde Park! Joe he been thinking about a greyhound for years- his mom loves them too, so, Joe decided for his first dog he would have to get a greyhound! 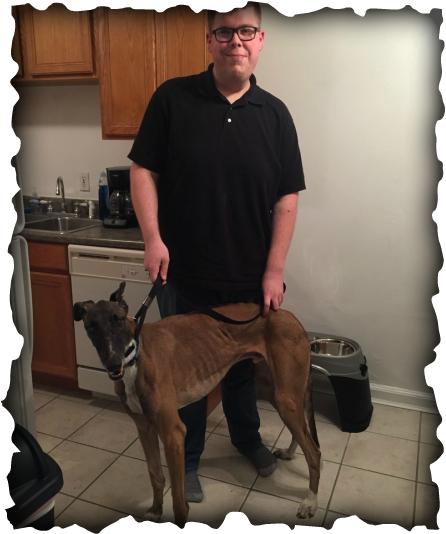 Joe was looking for a young personable dog and Jax (Rooney) is such a happy lovable puppy that he will be a great first dog for Joe! I am sure that we will see this gorgeous pup out and about at our events!